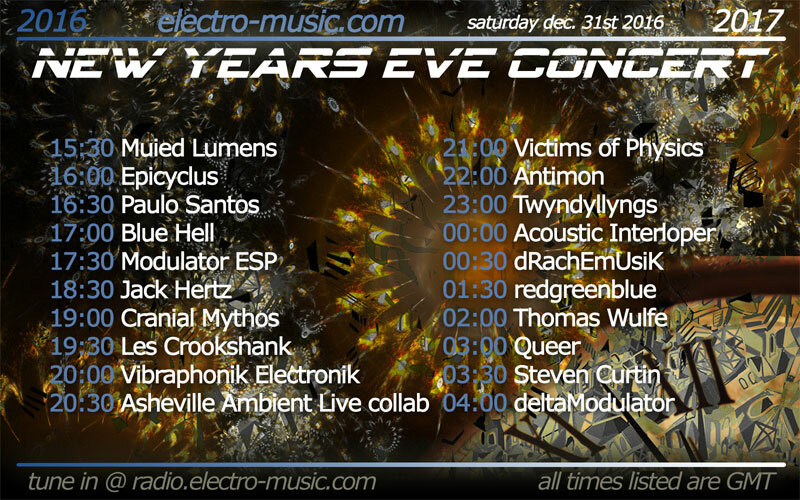 Spread the word and tune in now to the 13 hour electro-music New Years Eve streaming event from my friends on Electro-Music internet radio. The event features 21 experimental and electroacoustic and electronic musicians from around the world. You can tune in via your computer or mobile device here http://electro-music.com/radio/. You can join the chat here. Note times are in GMT. Schedule in Mountain Time is below. 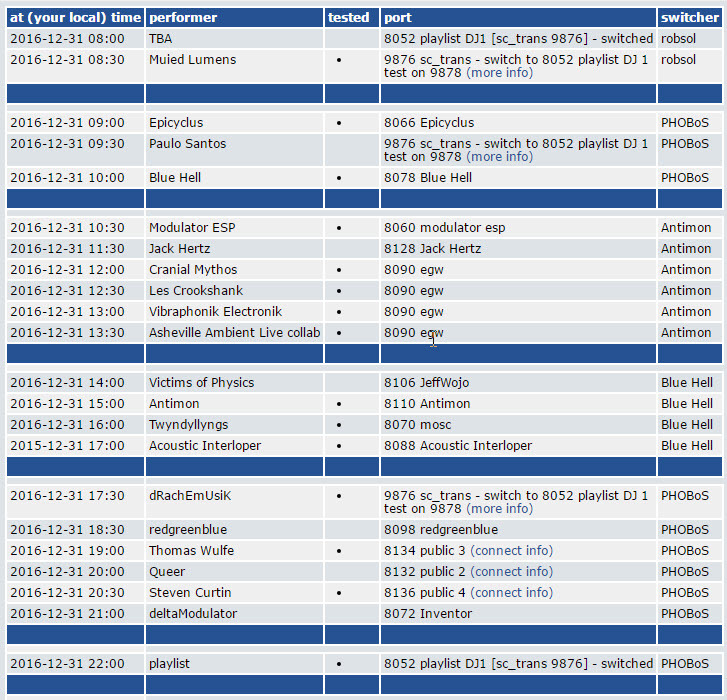 Scroll down this page to see the schedule translated into your local time.